SWEETHEART DEAL FOR VALENTINES DAY - RENT NOW!!! 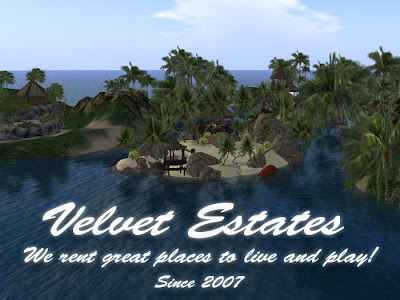 There are lots of great parcels available in the Velvet Estates and in celebration of Valentine's Day I am offering a free week for anyone who rents now. I have completely remodeled Satisfaction in an island style (seen above) with lots of space and water and trees. I am really happy with how it has turned out, and hope you will be too! Click the image to get to the list of current listings. Contact StarSong Bright in world if you have questions or need assistance.